Why is having an Antivirus important for your computer? Antivirus software plays an integral part in ensuring your computer is safe from malware and viruses. Malware causes adverse effects such as deleting your files without your knowledge, corrupting installed programs and in some cases can even expose your personal data. So what is AVG Antivirus? AVG is a free Antivirus that protects your system from malware attacks whether you are offline or online. AVG runs smoothly in the background of your machine and you can control the consumption of computer memory and other resources by controlling the automatic scans. It is generally ranked as the best free antivirus currently on the market. What does AVG Antivirus do? AVG performs several essential roles all of which are aimed at protecting your computer. 1. It stops malware and viruses from affecting your computer. This is from either the internet or any storage device that is connected to your PC. 2. Blocks unsafe downloads, links and emails which might harm your computer. 3. The antivirus also gets regular updates to ensure it is up to date with possible threats. It is advisable to ensure that automatic updates are enabled at all times. 4. It has scheduled scans on your computer to ensure any threat is neutralised. 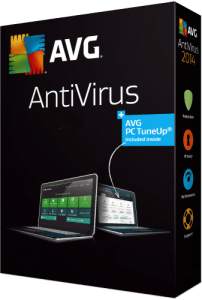 There are several places where you can download AVG Antivirus. We recommended the parent site avg.com. If for whatever reason that doesn’t work you can also get it on CNET or Softonic. 1. First, uninstall any other antivirus you may have installed before installing it. You can do this by going to control panel >programs >Uninstall a program and from the list remove the antivirus. 2. Go to the download folder and run the AVG install file. 3. In order to install, you have to accept the agreement. 4. Select the free license and the antivirus will start to install. 5. After that, restart the computer for the installation to complete and you’re done. In conclusion, it essential you have an antivirus installed on your computer and AVG is all you need.